Pairing a restaurant with the perfect chef can be as rocky as finding one’s soulmate. Some never do. Epicure and Short Black mourn weekly over the latest broken hearted eatery left reeling when its head chef walks out for a younger, trendier establishment. But like all good love stories, when the perfect partner is found, it’s like fireworks. Damien Pignolet and Claude’s, back in 1981, was one of those magic combinations and as a young food writer, I have always wished I was born just a little earlier. Pignolet, together with Tim Pak Poy, created what was touted as the quintessential French dining experience, receiving much acclaim across the country. 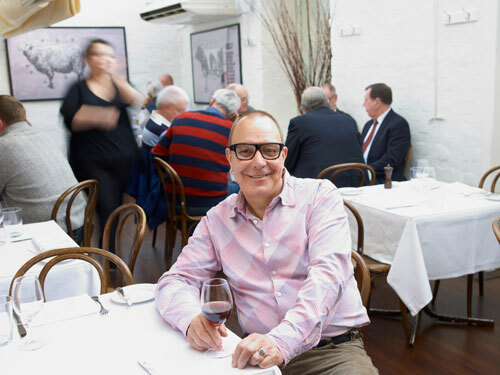 But it is not all about Claude’s, throughout his high profile career Pignolet has established nine successful restaurants including Butlers Restaurant, The Old Bank in Darlinghurst, Bistro Moncur, Moncur Terrace, Bistro Deux at the Sackville Hotel, Cleopatra Restaurant and Guesthouse at Blackheath in the Blue Mountains. Hold on, I’m almost finished the bio – Pignolet’s history with the Bellevue Hotel began when he bought the hotel in 2005, before selling it in 2011. His return to the iconic pub brings much excitement but also a chance to complete his original vision. “To me, it [The Bellevue] was always an unfinished chapter,” explains Pignolet. Hidden at the back of the two-story building, The Bellevue dining room boasts a modern edge with a beautiful open glass ceiling and white washed concrete walls. 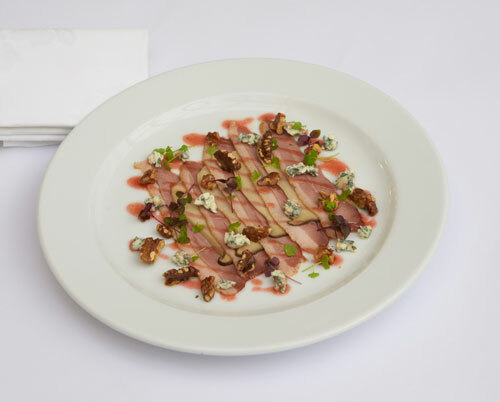 The place oozes understated elegance with subdued decor, seasoned service and Pignolet’s magic touch on the menu. Weight watchers will have food envy with dishes such as pork, veal and fennel sausage with mashed potatoes and pork belly and duck confit cassoulet stealing the limelight. A simple crisp skin salmon glaze with shellfish butter is pleasurable, as is a generous prawn and mussel linguine. Take an iconic heritage-listed Paddington pub, combine it with a stunning refurbishment and then throw in one of Australia’s most renowned chefs – The Bellevue Hotel has all the makings of a great dining experience.